New techniques and procedures make visits more kid friendly. In recent years, dental offices have become a haven for oral health, fun and even entertainment, making visits less arduous for kids. With the combination of modern advances in dental technology and education, pediatric dental offices are now healthcare destinations that get the thumbs up from kids and experts alike, including parents. I have been a dentist for more than 25 years. But like your kids, I’m also a patient. And I’ll forever remember the feelings I had as a child when my parents took me to the dentist. It was scary to say the least. Luckily, children of the 21st century are treated by doctors who are well aware of the need to alleviate the anxiety and fear that come along with oral care appointments. Updated offices include bright open areas with a variety of games, computer stations and colorful fish tanks. Many practices also include themed rooms, such as Star Wars, Disney or jungles; dental chairs shape like animals; and TVs on the ceiling. How cool! Decor isn’t the only aspect of the field that is changing. Myriad treatment advances make visits more enjoyable for young patients. 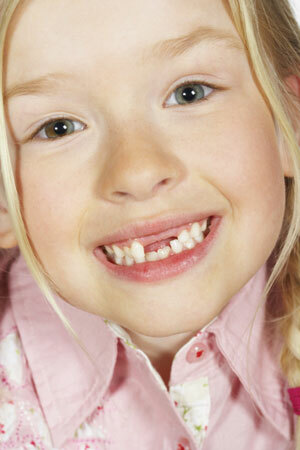 The dental profession recognizes that it is best to preserve as much tooth structure as possible when treating teeth. This is commonly known as Minimally Invasive Dentistry. Advances in tooth filling materials, such as bonded composite resins, commonly known as white fillings, allow the dentist to remove just the decay in the tooth, and then place a filling. Dental lasers painlessly remove decay without the need for the noise, vibration and heat friction of the drill. Pain-free is the new buzzword in the dental industry. When you really think about it, dentistry doesn’t hurt. Because once you’re numb, the treatment that follows is painless. But what about the most dreaded part of the dental appointment: the injection? According to www.worldental.org, the fear and anxiety of pain is what keeps 40-50 million Americans from going to the dentist. After all, who doesn’t cringe at the thought of a painful needle injection in their mouth? However, DentalVibe, powered by VibraPulse technology, is now available to block the pain of injections. This patient-friendly device looks and sounds like a battery-powered toothbrush. It is placed on the gum while an injection is given, and all you feel is a gentle vibration instead of a shot. It has been called a miracle by many. Children’s mouths are a gateway to the rest of the body. Their teeth and gums are connected to their entire system. According to the American Academy of Pediatric Dentistry, it is of utmost importance to have your children visit the dentist as soon as their first tooth erupts or by age 1— whichever occurs first. So bring your children to the dentist without hesitation knowing what awaits isn’t all that bad. Digital X-Rays provide better accuracy and computerized storage with up to 90 percent less radiation exposure. Laser Diagnostic Technology e.g., DIAGNOdent by KaVo, can painlessly detect small cavities in the grooves of teeth at their earliest stages before they become large, without the use of X-Rays. PedoNatural Crowns are tooth colored instead of stainless steel. No more unsightly metal crowns. Invisalign and Damon System straighten teeth in a less noticeable, and in some cases, quicker and more comfortable, manner. Laser Dental Cleanings efficiently and painlessly remove plaque, bacteria and infectious agents. High-Tech Intra-Oral Camera Exams provide live color video that the doctor and patient can see together on a TV monitor. It’s much more kid-friendly than your child holding a mirror trying to watch what the doctor is doing. Sealants are plastic coverings used to protect the chewing surfaces of the teeth since a large percentage of cavities occur in the deep grooves of the 6-year and 12-year molars. These should be applied as soon as the molars have erupted enough to see the entire chewing surface.